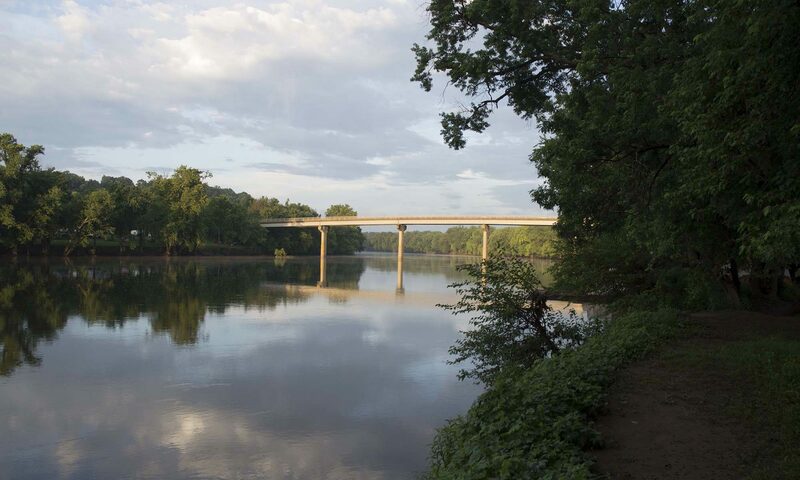 By William E. Trout, III, Stran L. Trout, and Lyle E. Browning with the James River Association and the Chickahominy Tribes. 60 p. plus front and back covers. "Rediscovering the land of the coarse pounded corn people." First Edition - 2014. ISBN 978-1-888838-23-7. This new atlas has a high resolution color cover that is a reproduction of an original watercolor painting by artist William C. Hoffman. 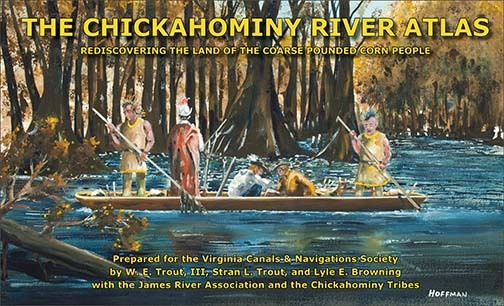 This is a very interesting atlas with information about the Chickahominy Indian Tribes and the first settlers at Jamestown up to modern times on the river.